Mr. Ihnatowycz has served as a Director since September 2013. Mr. Ihnatowycz is the President and CEO of First Generation Capital Inc., a private investment holding company. Formerly, Mr. Ihnatowycz was Founder, President and CEO of Acuity Investment Management Inc. and Acuity Funds Ltd. Under his leadership, Acuity was the first Canadian advisor to the UN on the integration of environmental, social and governance factors within investment management and grew to combined assets of over $7.5B. Mr. Ihnatowycz has been an active community leader and fundraiser, is Chairman of Acerus Pharmaceuticals and Myca Health, and serves on the boards of numerous organizations including Kardium Inc., WellBox Inc., Real Imaging Ltd., Fulcrum Management Solutions Ltd., Ikomed Technologies and the Royal Conservatory of Music; and is a member of the Ivey Advisory Board, the Ian O. Ihnatowycz Institute for Leadership Advisory Board of the Ivey Business School and the Investment Advisory Committee of Imperial Capital Acquisition Fund V and VI. Mr. Ihnatowycz was named a Chevalier of the Order of Merit, 3rd Class, by Ukrainian President Petro Poroshenko in 2017, has received an Honorary Doctor of Laws from Western University (2012), an Honorary Doctor of Philosophy from the Ukrainian Free University in Munich (2009) and is a Fellow of the Royal Conservatory of Music (2007). Mr. Gudaitis serves as President and Chief Executive Officer of Acerus Pharmaceuticals Corporation. 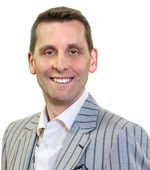 Mr. Gudaitis has spent over 20 years in the pharmaceutical industry. He has extensive experience in specialty markets such as Oncology, Hepatitis, HIV, CNS and Transplantation. His functional experience spans Country leadership, Business Unit Leadership, Marketing and Sales Management, Market Access, Pricing, Health Economics and Clinical Research. Mr. Gudaitis is best known for his role as General Manager for Gilead Sciences Canada Inc. where he was responsible for leading Gilead’s Canadian affiliate from start-up in 2005 to one of the largest pharmaceutical companies in Canada in 2015 with sales of over $1 billion. He also led the launch of two significant products in the US market for Gilead as Senior Director, Marketing for Gilead’s US HIV Business. 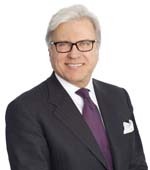 Prior to Acerus, Mr. Gudaitis served as Vice President and General Manager of Allergan Canada where he led a significant portfolio optimization process and leadership transformation. Earlier in his career he spent more than 10 years at Hoffmann-La Roche in roles of increasing responsibility. Mr. Gudaitis received his MBA from the Richard Ivey School of Business and his BSc from Brock University. 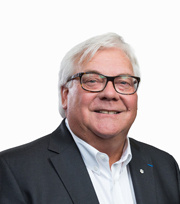 He has served as Chairman of both the Ethics and Prairies Regional Committees while a board member for Innovative Medicines Canada. As well, he has served as board member for BioteCanada. Ms. Beauchamp is the former President and Chief Executive Officer of Cystic Fibrosis Canada. 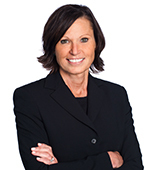 An accomplished business and non-profit leader, she has held three decades of senior leadership positions in Canada and Germany, including executive positions at Genzyme, Bayer, Sanofi and the Canadian Foundation for Women’s Health. Ms. Beauchamp serves on the boards of Eve Medical and MedReleaf and has served on the boards of the St. Joseph’s Health Centre Foundation, Providence Healthcare Foundation and the Breast Cancer Society of Canada, and is also a passionate patient advocate and volunteer, working with patient and healthcare organizations to enhance access to care. Ms Beauchamp, currently serves on the Advisory Boards of Women Get On Board and Hospitality Network. Ms. Beauchamp completed the University of Toronto’s Rotman School of Management Directors Education Program (ICD.D) in 2009 and graduated from Bishop’s University with a Bachelor of Business Administration in Marketing. 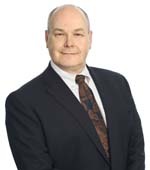 Mr. Gregory has served as a Director since July 2011. Mr. Gregory is President, Chairman and the controlling shareholder of IsaiX Technologies, a privately held company headquartered in Montreal, with offices in the United States and England. IsaiX Technologies works extensively across a wide variety of industry segments and has ongoing business relationships with more than 100 companies in the pharmaceutical, finance, banking and insurance sectors. IsaiX Technologies provides and implements for its clients human development programs, medical writing and physician scheduling platform services. Mr. Gregory also spearheads charitable endeavours for the children of Canadian soldiers serving overseas. Mr. Gregory has also completed the Institute of Corporate Directors Education Program offered jointly by the Institute of Corporate Directors and the Rotman School of Business of the University of Toronto. Mr. Borys Chabursky specializes in strategic planning, fundraising, financial management and business development for biotechnology, medical device, imaging and oncology companies and science and technology incubators in both the public and private sector. 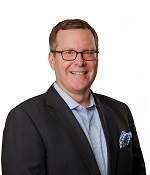 As the founder and Chairman of Shift Health, he has overseen the successful completion of over 500 life sciences assignments for more than 300 clients in North America, Europe and the Middle East; the development of compelling business cases and implementation plans that have helped leverage over $1B in financing from private and public sector resources; and the creation and facilitation of more than 50 public-private partnerships in biomedical research, infrastructure development and global health. Mr. Chabursky has worked closely with industry thought leaders, large pharmaceutical companies, government agencies, hospital boards and healthcare networks. He has also provided interim management for seven start-up companies and angel financing for ten new start-up ventures. With his experience spearheading large-scale, multi-stakeholder, global initiatives, Mr. Chabursky often serves as an advisor to influencers and developers of government policy.